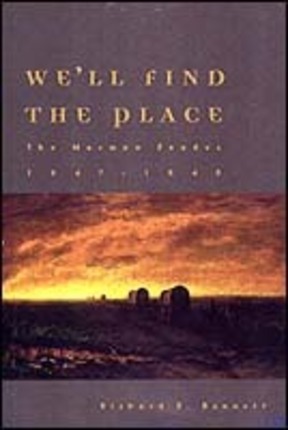 We’ll Find the Place tells the fascinating story of the Mormons’ exodus from Nauvoo, Illinois, to their New Zion in the West — a story of a people’s deliverance that has never before been completely told. 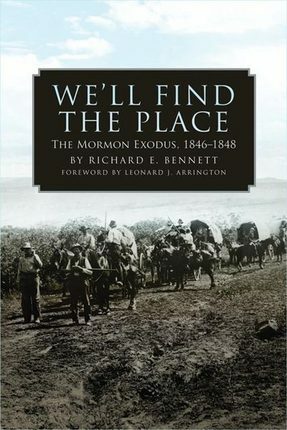 Following the journey of the original pioneer camp of 1847 to the Salt Lake Valley and concluding with the first conference of the church there in 1848, Richard E. Bennett shows the inner workings of the Mormon exodus by probing the minds and hearts of those who suffered and triumphed through this remarkably difficult hour in Latter-day Saint history. A work many years in the making, We’ll Find the Place looks behind the scenes to reveal Mormonism on the move, its believers sacrificing home, comfort, and sometimes life itself as they sought a safe refuge beyond the Rocky Mountains. It is faithful both to the convictions of the early pioneers and to the records they kept. RICHARD E. BENNETT is a native of Sudbury, Ontario, Canada. He served a mission in Texas from 1967 to 1969. He was the head of Special Collections at the University of Manitoba from 1978 to 1997 and earned a PhD in US intellectual history at Wayne State University. He is the author of several books and articles, mainly on nineteenth-century LDS history. He and his wife, Patricia Dyer, have five children.